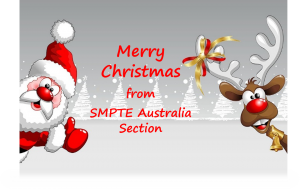 Firstly I would like to wish all our members a very safe and happy holiday season and I thank you all for your contributions and support during the year. December we held the annual Christmas dinner at Riley St Garage, not quite free but heavily subsidised. We are always open to new ideas for topics, site visits, and for future meetings so please forward your suggestions through and we will work hard to make it happen. 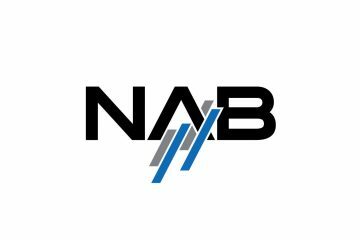 Thanks to those who responded to our SMPTE17 Survey. 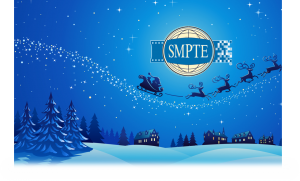 We will be taking your feedback and suggestions on board during our planning phase for SMPTE19. There are a few people who were recognised this year or have new roles for next year. 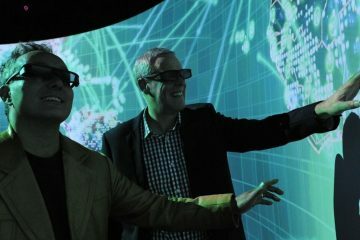 Geoff Healy – a SMPTE Fellow – received an OAM on Australia Day for his contribution to the TV industry. Many of you know Geoff from his days at Seven working on Race Cam or at the Sydney Olympics as head of SOBO. John Walsh and Dave Wheeler were formally recognised for their contribution to the society at the annual awards night in Hollywood. Peter Stavrianos and Kathy Anne McManus have stepped down from our section board and I thank them both for their contributions. I’d also like to thank you, our members, for your support during 2017 and wish you and your families a safe and Merry Christmas.